Tonight’s dinner was inspired by an appetizer at Landmarc. 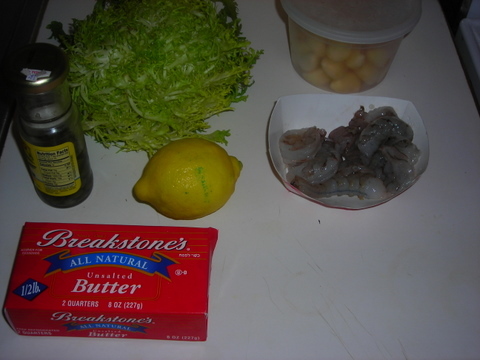 Clockwise from top left: frisee, garlic, shrimp, unsalted butter, capers, lemon. 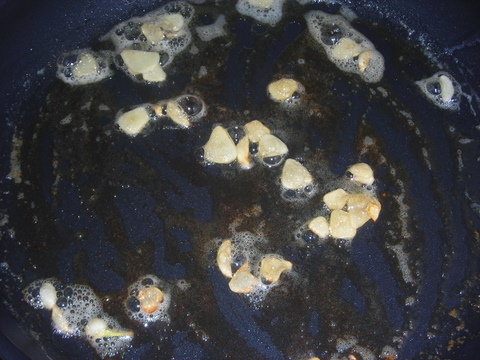 2 cloves of garlic, sliced thinly. 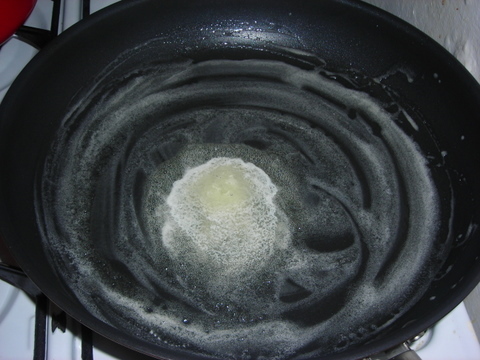 Cook until slightly browned. 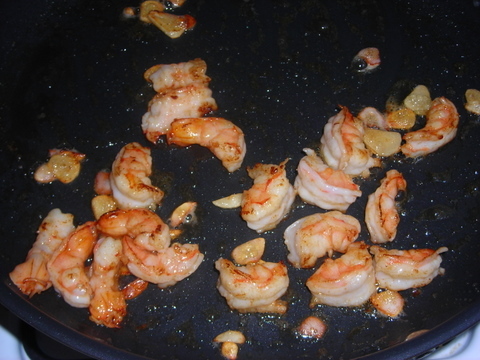 Shrimp, after about 2 to 3 minutes. 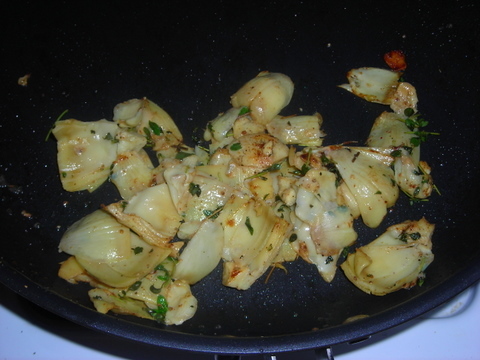 Artichoke hearts, 1 T. chopped fresh marjoram, kosher salt, cracked black pepper and some of the garlic. Assembly: Break half a head of frisee into pieces. Wilt on moderate heat for 30 seconds. Toss with a dressing of the juice of 1 lemon, EVOO, 1 T. capers, chopped fresh chives, salt and pepper. 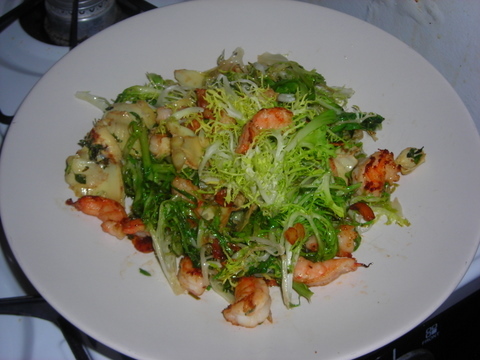 Top with shrimp and artichoke hearts. Serve immediately. 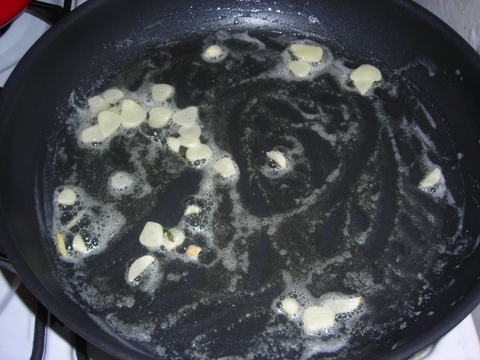 04 Oct	This entry was published on October 4, 2006 at 1:48 am and is filed under food, general. Bookmark the permalink. Follow any comments here with the RSS feed for this post. Hi, just a stranger stopping by. This looks absolutely fabulous! And this from someone who hardly ever indulges in shrimp! 😉 YUM! What an excellent combination of texture and flavour.